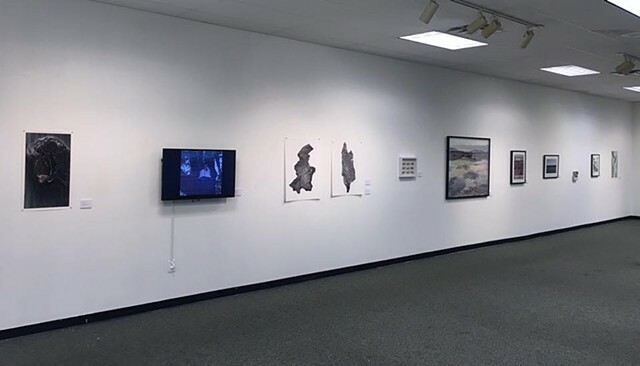 "NOWHERE: Hybrid Landscapes" is a group show at Voertmans Gallery with work by Sean Miller, Rachel Rushing, Adam Neese, Daniel Baeza, Gabriel Vega, Peter Hiatt, Melody Vaughan, Gary Kachadourian and Jan Razauskas curated by Julie Libersat. All of the artists in the show uses processes that mediate, blend or collage landscapes in order to question notions of place. Hybrid Landscapes engages the traditional representation of landscape and space, with artworks that are created through processes that mix or blend locations together, producing an ultimate placelessness.